It's a bit ironic how a 1,000's of years old practice is made even more popular with the latest technology. In this case it's the influx of many terrific yoga apps that offer yoga routines. We put together a list of the best options. Yoga is becoming an increasingly popular way to get fit and maintain ones health since it has a lot of benefits. It has a positive impact on the mental, physical and spiritual health of the individual. Yoga helps to increase the flexibility of the body, as well as improve the strength of the muscle. It tones the muscle and improves circulatory and respiratory systems. This helps eliminate cardiovascular and respiratory issues and lead to a healthier body. Yoga is a great exercise for mental health as well since mediation and breathing exercises help the individual de-stress. It also reduces the strain and tension on the muscles or any inflammation. Yoga is also beneficial since it calms and centers the nervous system, as well as sharpens concentration and attention. This is why it is important to ensure that you make yoga a part of your daily routine. The best yoga routine is one that helps you stay focused on fitness and health no matter where you are. Such yoga applications allow you easier access to your workout no matter where you are. Even if life gets too busy or you are traveling, you can always maintain a healthy workout routine. They help provide the motivation that you need to stay committed to yoga and even ensure that you have variety in your workout sessions. Such apps also have really convenient ways to introduce some sort of accountability in your life, as well teach better ways to exercise. However, there are so many apps out there that it can become sort of overwhelming to choose one for your daily yoga routines. This is why we have selected 25 of the best yoga apps for you. Alo Moves is the perfect apps for beginners or a well-seasoned yoga practitioner. It has thousands of guided yoga practices which can help motivate and challenge you. These classes are designed and taught by some of the best experts in the yoga field. 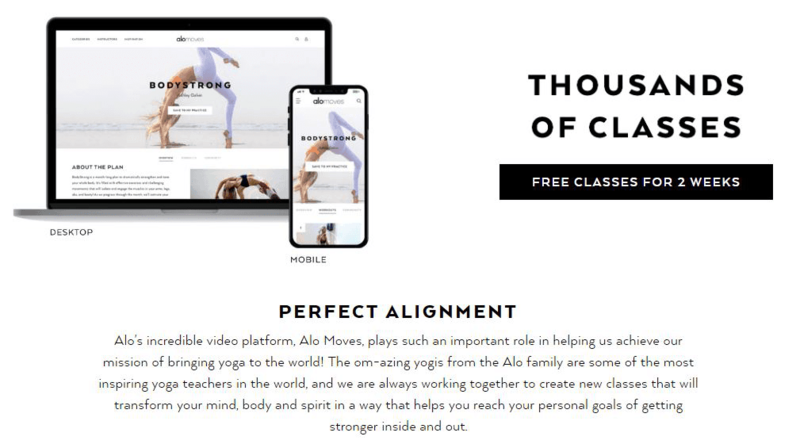 The Alo Moves app became really popular since it provides over 200 plans, 500 single classes, and 2000 videos, all of which are organized by renowned yoga experts including Mackenzie Miller, Caley Alyssa, Ashley Galvin, and Dylan Werner. 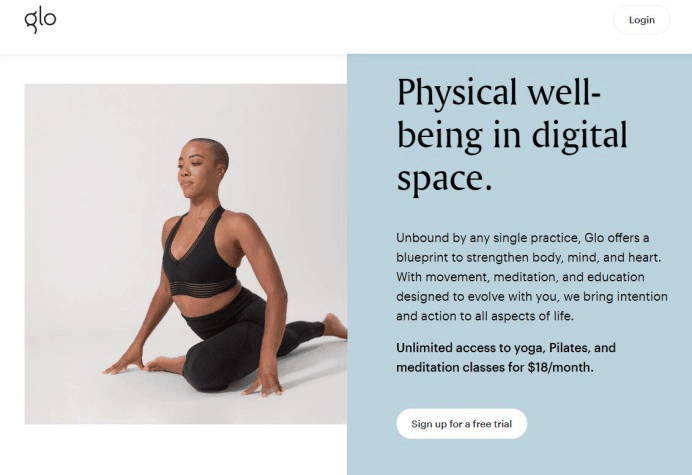 It helps you develop your yoga skills with demonstrations on handstands, guided meditations, increasing strength through total body workouts, and much more. The app is available on iOS and Android both. The Yoga Wake Up ensures that your morning is full of calming sounds to gently nudge you out of bed. It features sounds of peaceful meditation and yoga to get you moving in the morning. Loud alarm clocks actually shock the system awake which can cause a spike in the blood pressure. Meditation sequences and yoga audios aim to get you out of bed in a more relaxed way. 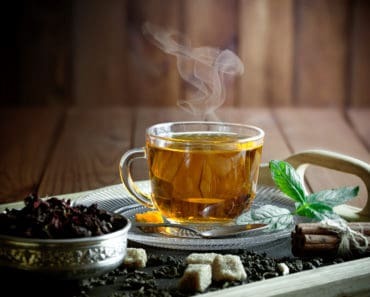 This gets you ready for the day and energizes your body in a healthier way. Asana Rebel is the best fitness application inspired by the flow of yoga that guides the individual towards inner peace and healthier body. It has many yoga elements and complements the daily yoga workouts with other types to accomplish all your fitness goals. You can track your progress, choose your very own programs and classes based on personal needs, and input your goals. The application is available on Android and iOS. The YogaGlo application offers many guided meditations and yoga classes so that you can make it part of your daily routine. You can get a workout session anywhere by following the 3800 different yoga workouts on the app. The amazing variety means that you will never run out of options and have new asanas to challenge yourself with. It doesn’t matter whether you are in the mood for a calming, peaceful experience or a longer, intense session. You can also work to improve your mental health and sharpen attention with the meditation classes. Yoga Studio has a lot of different sessions that you can use to guide yourself. You can select sessions based on length, expertise, and other themes. You can learn more about yoga poses like sun salutations, as well as specific types for back pain and runners. You can also choose to learn about one pose at a time instead of a predetermined sequence. The Down Dog app was created by some of the best experts in the field, such as Adrienne Kimberly. 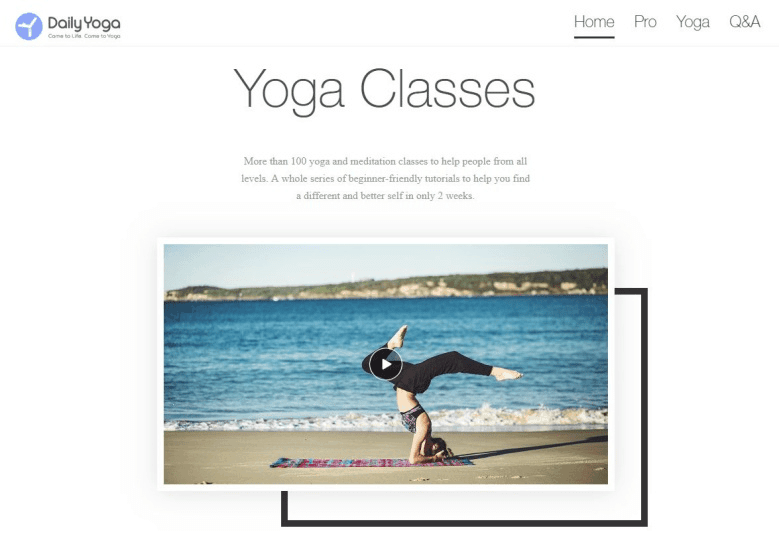 The asana library is really great since it has in-depth instruction on every pose. This allows beginners to learn more about proper alignment and techniques very easily. The application offers 4 different levels of learning from restorative to advanced classes. 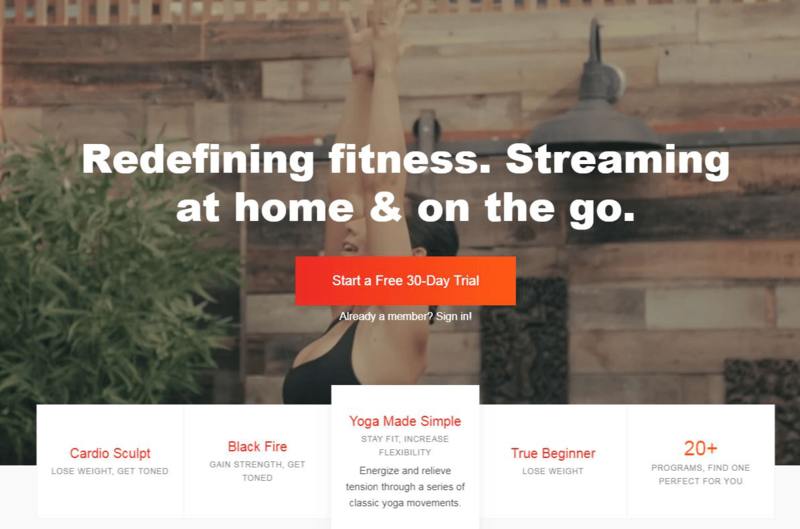 FitStar Yoga is designed by Tara Stiles and has responsive personalized yoga sequences. It uses your feedback to tailor the session according to your preferences and needs. It provides set yoga workouts and is integrated with social media platforms and trackers so that you can watch your goal progress. It also has a community to advise and motivate you for extra accountability. Pocket Yoga has many illustrated visuals that give it a different look from other apps. It uses a unique approach of Gaia Flow Yoga which has been created by a Texas studio. This yoga has its very own terminology and method. It includes three different styles of workout which enhance the strength of the body including cardio, power, and flexibility. This helps accomplish ones fitness goals faster since you can incorporate all these styles to stay healthy. 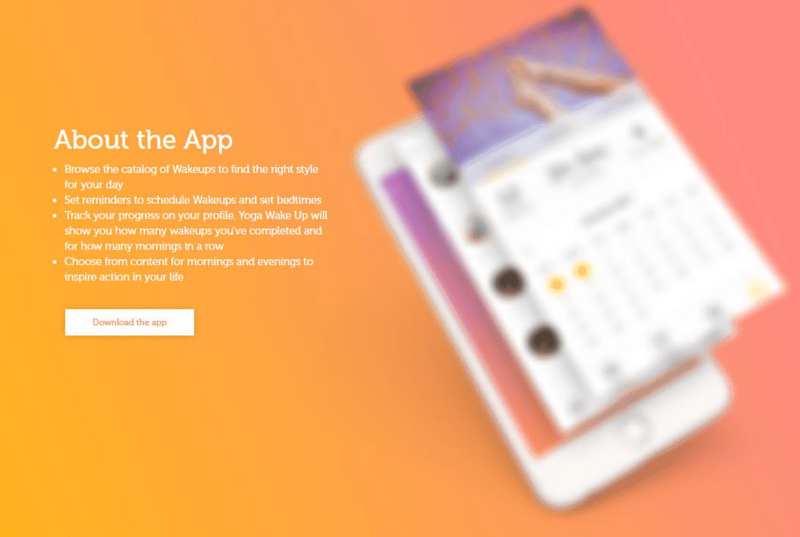 The Daily Yoga application uses a different approach to yoga since it is set up around a series of programs. They have themes like Improve Your Flexibility and 5-Day Detox and last for multiple weeks. Each sequence is of 20-30 minutes for each day, ensuring that yoga is part of your daily routine. It also has an active community of users that lend you support and advice to increase accountability. The application was developed by the popular My Pocket Fitness application for people who like yoga. The Yoga Academy application offer video instruction, photos, and written descriptions of different yoga poses. The application is, however, often criticized for their oral instructions that don’t always follow the video. A lot of users also avoid the application since the poses aren’t often described well. 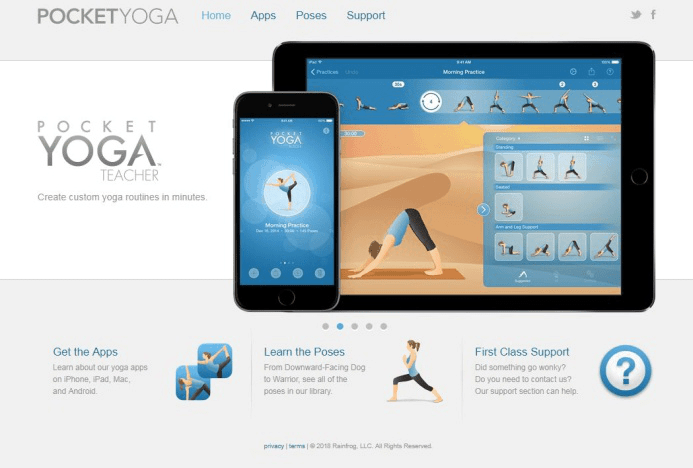 The Yoga.com application is the perfect supplement to regular yoga workout classes. It has detailed videos and instructions on more than 300 different poses, which allows you to nail difficult yoga poses from your class. 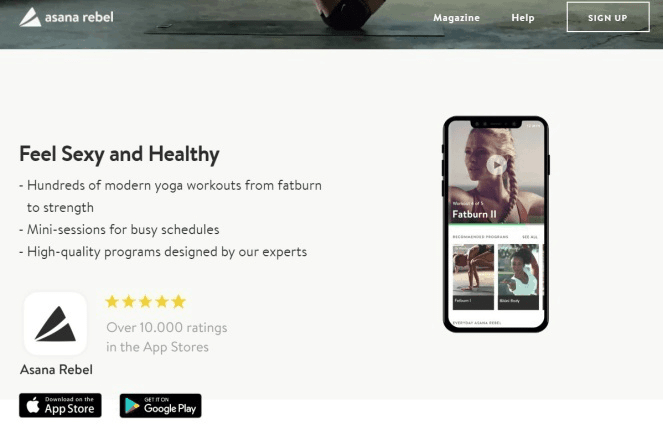 You can even use the application to access the 45 different set routines so that yoga is a daily part of your routine. It allows you to complete your yoga workout from anywhere at any time. You can also see which muscles you will be using during the workout routine or pose. The most important part of yoga is the breathing exercises since they help the respiratory system and have countless mental health benefits. They help you relax, reduce stress, alleviate migraines, boost energy, and lower blood pressure. There are two different courses with music and animation to guide you on how best to leverage breathing for benefits. You can also use the application to monitor your progress and see your program history to check the improvements you have made. Yoga for Insomnia is a great application for anyone who has trouble sleeping at night. It has a structured series of meditative workouts that can guide you to a deep sleep. The short routines will definitely help you get a good night’s sleep. It combines stress reduction exercises which are often used to improve the quality of sleep and positively change your sleep patterns. 5 Minute Yoga helps to guide you with purpose-oriented, fast, and efficient yoga routines. It is very easy to make yoga a part of your everyday life by following a 5-minute routine workout every day. The application has detailed descriptions and images to help you learn the proper technique for every pose with proper posture. It also contains a timer so that you can easily fit it into your busy schedule. Yoga for Weight Loss is the best application if you want to achieve your fitness goals in a healthy manner. The application uses simple core yoga and combines it with therapeutic yoga poses. 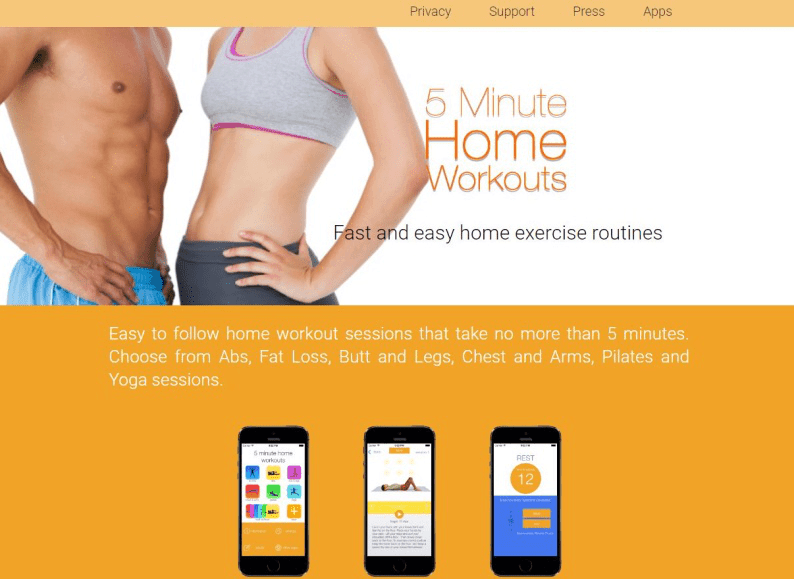 It is aimed for users who want to lose weight and is a really effective tool since an amazing team of doctors and yoga gurus consulted for the app. Adriene is one of the best yoga instructors in the world and the force behind this application. It gives you really great instructional videos with attractive classes. It also has a very authentic feel to the whole process, making it seem more communal in nature. 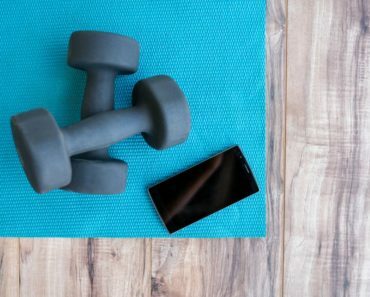 The app guides you on the proper techniques and routines that will definitely motivate you to make yoga a part of your daily routine. The Daily Burn application has over 700 personalized workout sessions which you can filter according to your time, trainer, difficult, and many more. You can find the best program according to your personal needs, experience level, and fitness goals. Even though the application doesn’t just focus on yoga, it does have an extensive library on yoga. Strengthening your core muscles can help you develop essential flexibility that can benefit your health. Core Yoga helps to improve your coordination and increases your sense of balance. The application has exercises that promote spinal health for an overall impact on your health. It also makes it easier for you to make yoga a part of your daily routine. 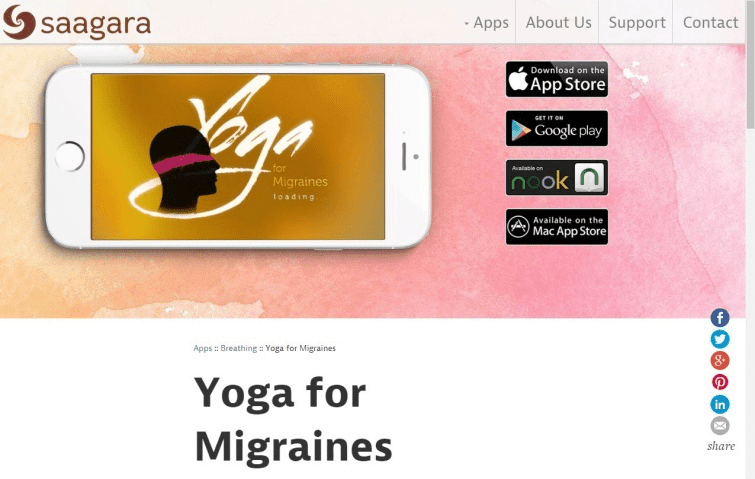 The Yoga for Migraines application is the perfect structured series of yoga poses for anyone who suffers from migraines. Headaches are often a result of stress, which is why people can benefit from the application by de-stressing. It improves blood circulation, relaxes the mind and body, and increases lung capacity. All of these are beneficial for anyone who faces pain from migraines on a regular basis. 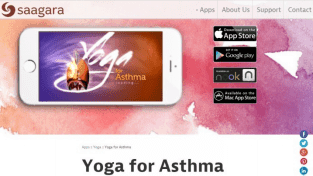 The Yoga for Asthma application has a beneficial structured series of yoga poses which can help with reduction in stress and improvements in breathing. The breathing exercises on the application can help people suffering from bronchitis, emphysema, and asthma. This helps improve the symptoms of these illnesses over time if you make it a part of your daily routine. 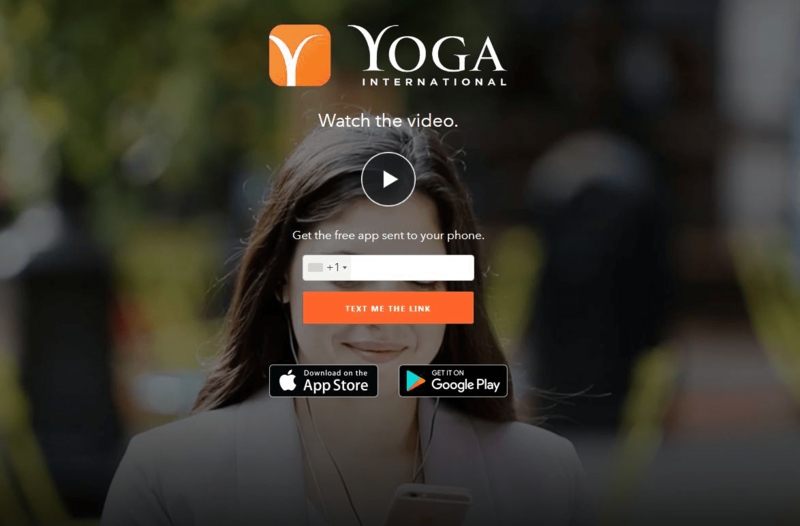 Yoga International application has a huge wealth of articles, videos, classes, workshops, and tutorials. It can help people who do yoga regularly, as well as beginners who are just starting out. You can log in your wellness and fitness goals into the application to ensure that you achieve your fitness goals. Signing up for premium subscriptions will allow you to unlock a lot more articles, workshops, and video classes in high-quality streaming. You can focus on your meditation, yoga forms and breathe work by browsing through the vast library of the Yoga International application. The app also comes with workout logging, offline playback options, interviews, podcasts, and extra classes. The iYoga Premium application is a good application for those people who know the basics of yoga from beforehand. It provides you with the latest technology to show you exactly which muscles will be affected by the pose you are doing. Its library has hundreds of different asanas which you can select to form your own sequence series. The application provides voice instructions which allow you to check the detail for each pose so that you have proper techniques and posture. There are also many preset video sequences you can choose from for your daily workouts. 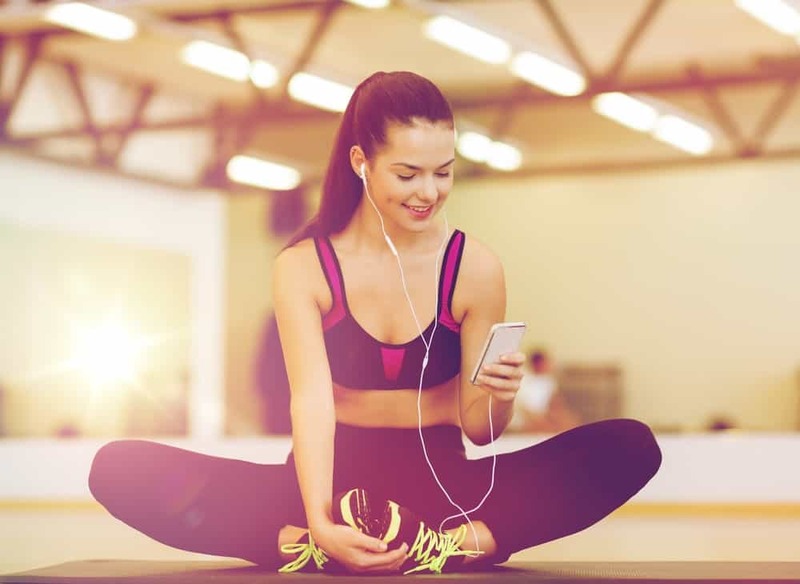 With so many great apps in the market, you can incorporate technology to maximize the effectiveness of your yoga session. These apps can help you better manage you yoga workouts and expand your yoga knowledge. Due to how easy these applications are to get and use, you have no excuse left to miss out on your new and through yoga sessions.